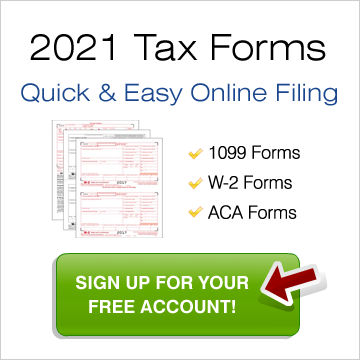 Tax forms can be complicated and difficult to understand. With over six decades of real industry experience, we are here to help. Our industry experts are available to answer your questions and can help you understand which W-2 and/or 1099 form should be filed, who needs to file them and why. If you're not sure which form you need to file, we are. We can even help you determine which laser checks and other business products are compatible with your company's current software program. The 2017 Tax Season is fast approaching. 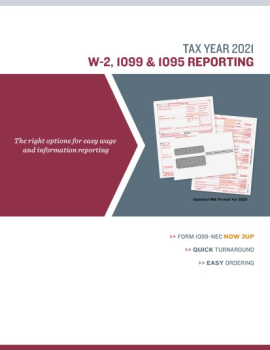 In order to make the start of tax filing season as easy as possible, we've provided the deadline dates for the W-2, 1099 and ACA forms so you can plan ahead with no last minute rushes or missed deadlines. Please note that these dates are subject to change. We will notify you of any updates if necessary. Our products are guaranteed to be compliant with federal requirements. Because we believe in open and honest communication with our customers, our team will inform you of any changes that have been made and send you replacement products at no additional cost. With several shipping hubs throughout the United States, we can guarantee that your order will ship within 24 hours of being placed and at a lower cost. Our tax forms are printed on Sustainable Forest Initiative (SFI) paper. This paper produces a smaller carbon footprint and is part of our ongoing commitment to the environment.